Just a few hours after concluding the 300 kilometers of Milan-San Remo, Alejandro Valverde is set to start on Monday one of the most demanding and competitive races of the season. The Volta Catalunya will once again have great names of the international bunch, highlighting the rainbow jersey; winner of the last two editions, or riders like Chris Froome, Egan Bernal, Simon and Adam Yates, Enric Mas, Miguel Angel Lopez, Richie Porte, Romain Bardet, Thibaut Pinot or the teammates of Valverde in Movistar Team ; Nairo Quintana and Marc Soler. Among this list of figures, Alejandro Valverde will try to defend the title achieved in 2018 and 2017 (he has a third in 2009) on a seven-stage course with three key days: the arrivals at Vallter 2000 and La Molina on Wednesday and Thursday and the final day in Barcelona, ​​with the traditional and nervous circuit of Montjuic. The first stages two will not be a path of roses. 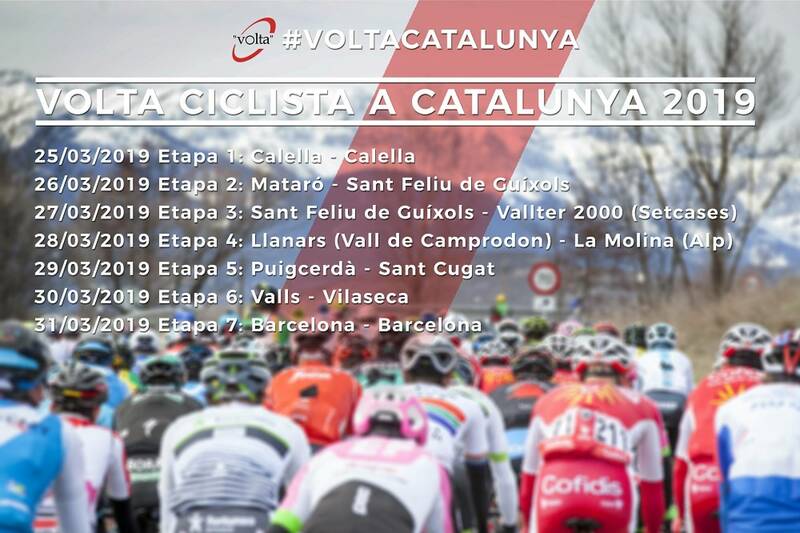 Formic (1st) and Collsacreu (3rd) will select the group at the premiere of La Volta in Calella; the Alt de Romanya (3rd) will be a difficult climb shortly before the finish in Sant Feliu de Guixols on Tuesday. Movistar Team will have a great squad with Valverde, Quintana and Soler (the only Catalan rider in this edition of la Volta), Richard Carapaz, Carlos Verona, Imanol Erviti and Andrei Amador.